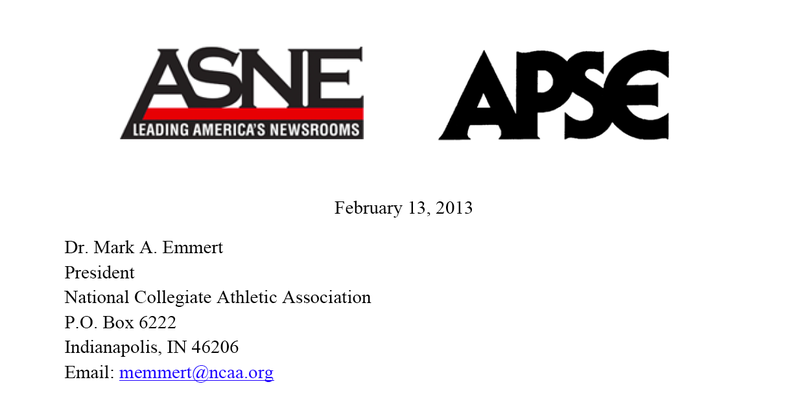 The American Society of Newspaper Editors (ASNE) is asking members and friends to step up the pressure on the NCAA and on college presidents to do something about the way journalists are being treated at sporting events. The journalists say they are being pushed further away from the action, they are having trouble getting credentials and social media are having an even tougher time. Read this letter to the NCAA urging the NCAA to sit down and talk about the matter, which ASNE says has not gotten a response.